The 21st Feast of Reason is in Brixton on Friday 17th October. As it takes place in Olivia’s house, places are limited so book early. We are happy to cook for vegetarians, gluten-free, allergies etc. 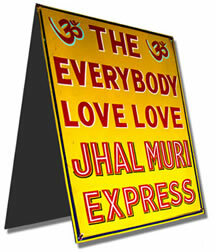 Angus Denoon, film-maker and cook, brings the Everybody Love Love Jhal Muri Express to the Feast of Reason.He will explain the ingredients and stories of street food from Kolkata with plenty of opportunities for everyone to do hands-on cooking – and eating! All accompanied by some cold Kingfisher beers, Indian wine or mango lassi. £45 donation includes street food workshop and supper with wine. This Feast will take place in Olivia’s kitchen so places are limited to 18. Email olivia@finsharky.com to book. 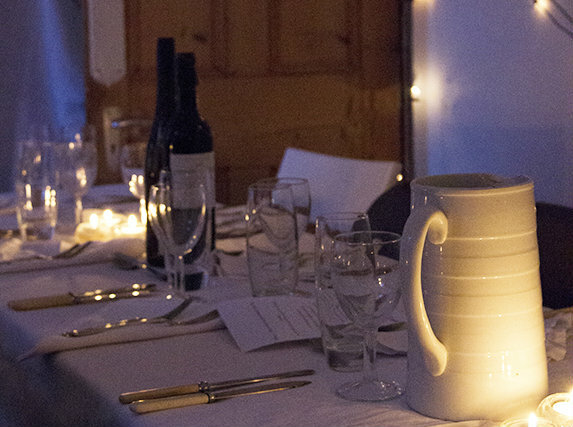 The Feast of Reason supper club began in 2010. It is a mixture of literary salon, pop-up restaurant, and a night of delicious food and wine, all in one evening. We invite two people to tell their stories: about a recent adventure, special subject, research project or life experience. Speakers so far include a playwright, a surgeon, a historian, a pirate wine expert, an astrophysicist, a spider silk weaver, a man obsessed by numbers, a cycling fanatic, an economist and a moth enthusiast. Each speaker has about ten minutes to talk, followed by questions. Then everyone sits down for supper by candlelight.